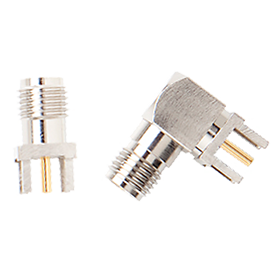 Reverse polarity SMA (RP-SMA) connectors have the same tooling as standard SMA connectors, but the center contacts are reversed to comply with FCC Part 15 requirements. They provide repeatable electrical performance from DC to 12.4GHz. Reverse Polarity SMA connectors are common in many of today’s electronic devices because they are small, inexpensive and provide a secure, robust connection.